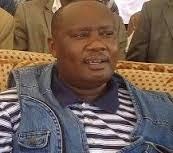 Busia governor Sospeter Ojaamong has banned politics during funerals because politicians were using such forums to advance their ill motives. Ojaamong said that his opponent who lost during the 2013 general elections Vincent Sidai was telling lies against him in funeral forums. “If you don’t know something, don’t say it. Come to my office and I will show you what projects we have lined up in every sector,” Ojaamong said. He said that he will ban politics at funerals adding that he will only allow such debates in his functions and in chief’s meetings. Ojaamong was speaking over the weekend during the burial of retired clinical officer Sylvester Omukubwa, 70, at Kareu village in Onyunyur location, Teso North sub county. Sidai, who was trounced by Ojaamong at the March 4 2013 polls provoked the governor when he claimed that money was being returned to the treasury instead of being utilised on development projects. “The governor should crack the whip on some members of his executive who are sitting on their jobs and making the execution of his duties difficult,” Sidai said. He said that the MCAs should do their work of checking the executive but not to work for them adding that the executive work for the governor but not the MCAs. Ojaamong told his critics to give him time to enable him fulfill the pledges he made during election campaigns by delivering services to the electorate instead of engaging in unnecessary gossips. “The national government had promised laptops within 100 days but over a year later, the project had not taken off. I also need time to put structures in place,” Ojaamong said. He said that in 2017, he will go back to the electorate to tell them what he had achieved during is tenure through proper service delivery. Ojaamong refuted claims by his opponent that Sh507 million had been returned to the exchequer after the county government failed to utilise it. He said the money was meant for projects and that their payments were awaiting delivery of road equipment, ambulances and upgrading of roads.